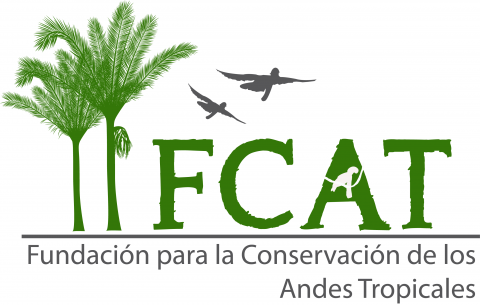 FCAT excels at community-engaged scientific research, with a focus on the Tropical Andes in South America. Why the Tropical Andes? One reason is that they support exceptionally high levels of biological diversity and endemism (species which occur there and nowhere else). They also support culturally diverse human populations, which often depend upon natural resources for their livelihood. As a consequence, there is often a tension between socio-economic development and conservation of diversity and natural resources in this region. FCAT works at this intersection, with a focus on northwestern Ecuador, at the transition of the Chocó and Tumbesian Biogeographic zones. The overwhelming threat to biodiversity in northwest Ecuador is deforestation. By 1996, over 96% of northwest Ecuador’s primary forest was already lost—a stark indicator of the region’s rampant deforestation, and the need for conservation efforts. This is thought to be leading to dramatic species declines, but little data on rates of deforestation in the area exists, and even less on how these activities impact natural systems. Consequently, we lack a framework to understand how to minimize negative impacts on biodiversity while maximizing resident well-being. To meet this need for information, FCAT has mapped forest fragments at the landscape level and documented patterns of diversity for a wide range of organisms, from palm trees to primates, amphibians to orchid bees, soil microbes to large, fruit-eating birds. Our work indicates heterogeneous responses to fragmentation across these groups of animals and plants, but points to the importance of maintaining high quality forest fragments as well as maintaining trees in the agricultural matrix surrounding fragments. We have leveraged these results to protect priority fragments via developing ecotourism ventures for local fragment owners or obtaining funding for purchase and conservation of fragments of high conservation value. As crops and pastures replace forests in tropical landscapes, the use of pesticides and herbicides typically increases. In northwest Ecuador, the consequences of these added stressors to aquatic systems is not well understood, nor is the impact on human public health. FCAT conducts research on the ecological health of freshwater streams, rivers and lakes in northwest Ecuador, with a particular focus on the Laguna de Cube. This small lake is a RAMSAR (i.e., a wetland site of international importance) site that supports critically important populations of waterbirds and herpetofauna, but that is threatened by significant inputs of human waste and agricultural contaminants. Moreover, a rapidly growing population center removes an ever-increasing amount of water from the lake during the dry season to meet its water needs. FCAT monitors diversity and abundance of key indicator groups of animals in the lake as well as water quality, and works with local government and residents to ensure the health of this critically important resource for both human and natural systems. Patterns of biodiversity ultimately arise from ecological and evolutionary processes, and FCAT has focused on understanding how these processes may be impacted by human activities. A key focus here is seed dispersal, which plants depend upon for successful reproduction and to adapt to changing environmental conditions. Large-bodied vertebrates such as umbrellabirds, toucans, and primates are key seed dispersal agents for many rainforest tree species, and we have used radio tracking in combination with genetic analyses to better understand the role that these large-bodied vertebrates play in maintaining healthy forests. Disturbingly, we have found strong evidence that seed dispersal by some key frugivores breaks down in the context of forest fragmentation, probably because several species avoid isolated forest patches. Encouragingly, however, other species such as toucans may provide connectivity between these patches if there are enough trees in the agricultural matrix.